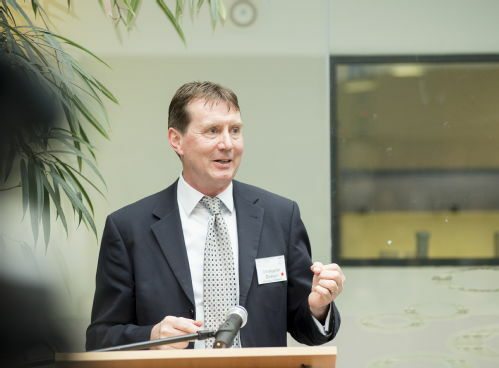 World-class technology and expertise are now available to UK drug discovery companies as a result of new laboratory facilities developed by the Medicines Discovery Catapult - launched on Wednesday 29th March at the University of Warwick. The Catapult’s investment in solid-state NMR will provide technology previously been unavailable in the UK. In addition, advanced mass spectrometry and liquid handling in the facility will support advanced screening and target validation to identify future therapies for complex diseases. One initial focus of the work being undertaken on site will be on the increasing threat of anti-microbial resistance (AMR). These new facilities and expert post-doctoral staff will enable biotechs, CROs and academic collaborators to work at Warwick to develop complex assays and monitor molecules, drug targets and proteins in unique detail. The facility, established in close collaboration with the University, also offers excellent access to the wider UK academic community and its resources. The site at Warwick has been developed alongside facilities at the Catapult’s headquarters site in Alderley Park, Cheshire. They will both drive innovative, fast-to-patient drug discovery supporting collaborations between industry, academic teams and medical research charities, and will help drive UK health and wealth in line with the government’s Life Sciences strategy. The announcement has been welcomed by the Biotech Industry Association (BIA), the Association of British Pharmaceutical Industry (ABPI) and Association of Medical Research Charities (AMRC). “The Catapult is here to help the UK drug discovery industry remain successful in a highly competitive world. This facility, its people and its first-in-UK technology is just one step of many in that journey. 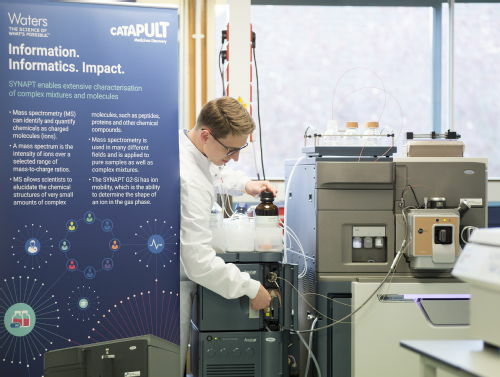 “This Catapult laboratory has an extraordinary amount of capability in a small space, enabling us to make great advances in microbiology, chemistry and structural biology. “We are already able to synthesise key reagents that allow new first in class assays to identify high value drug targets. The equipment which the Medicines Discovery Catapult has added allows us to keep going and do work that is more complex and sophisticated, and which nobody has been able to do previously. The potential is only limited by our imagination. "This new facility is a vital component in the early establishment of the Medicine Discovery Catapult. Antimicrobial resistance (AMR) is complex and this state-of-the-art laboratory will aid our understanding and accelerate the research and development of potential therapeutics. In addition, the range of equipment and expertise will open up significant opportunities for businesses to develop market-leading solutions." The equipment at the centre includes an acoustic dispenser (Labcyte Inc, USA); , a solid-state NMR probe which is the first of its kind in the UK (Bruker), and a SYNAPT G2-Si Mass Spectrometer (Waters Inc). The University of Warwick is consistently ranked in the top 10 universities in the UK and top 100 in the world. It is one of the UK's leading universities, with an acknowledged reputation for excellence in research, teaching and innovation - alongside pioneering links with business and industry. The Medicines Discovery Catapult (MDC) will support industry in developing new technologies primarily for the discovery and evaluation of medicines. The Catapult will operate at the earliest stages of medicines development, developing and validating new technologies for testing of potential medicines before human trials and supporting the key UK strength in pharmaceutical, biotechnology and contract research organisations. The goal for the Catapult is to grow the UK’s commercial medicines discovery capability with a view to improving productivity in drug development and approval, and to make it the leading place worldwide to develop and launch new products and services in this space. The Catapult is one of 11 set up by Innovate UK, the UK’s innovation agency (reporting to the Government’s Department for Business, Innovation and Skills). This network of world-leading centres is designed to transform the UK’s capability for innovation in specific areas and help drive future economic growth.